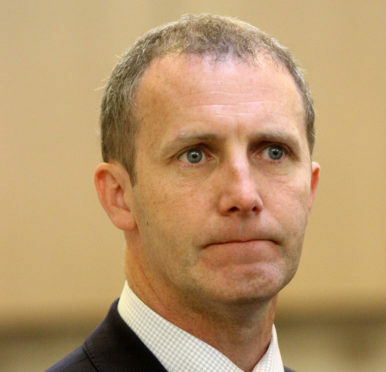 Transport Secretary Michael Matheson yesterday said he was not prepared to be “held to ransom” over the AWPR contractors’ compensation claim. Giving evidence at Holyrood, Mr Matheson suggested the contractors had attempted to use negotiations to open the Stonehaven, Craibstone and Charleston stretch in an attempt to further their claim. Mr Matheson said it was “disappointing” it had taken his personal intervention to get that part of the road open when it had been ready for two months. The Transport Secretary was asked by North East MSP Lewis Macdonald if the contractors had a “change of heart” to enable the stretch to be opened was recognition that there was no financial benefit to be had from maintaining their position. Mr Matheson replied: “I suspect that the penny had dropped. “I wasn’t prepared to get into a situation where they were seeking to try and use the negotiations to open phase 2b (Stonehaven to Charleston) – that can be opened – with their wider claim. They are two entirely separate issues. “I wasn’t prepared to be held to ransom by companies on how they wanted to negotiate this process.